Westernport Water recognises that backflow from properties has the potential to contaminate the water distribution network, and as such, we have identified a program of works to mitigate and manage any potential risk. 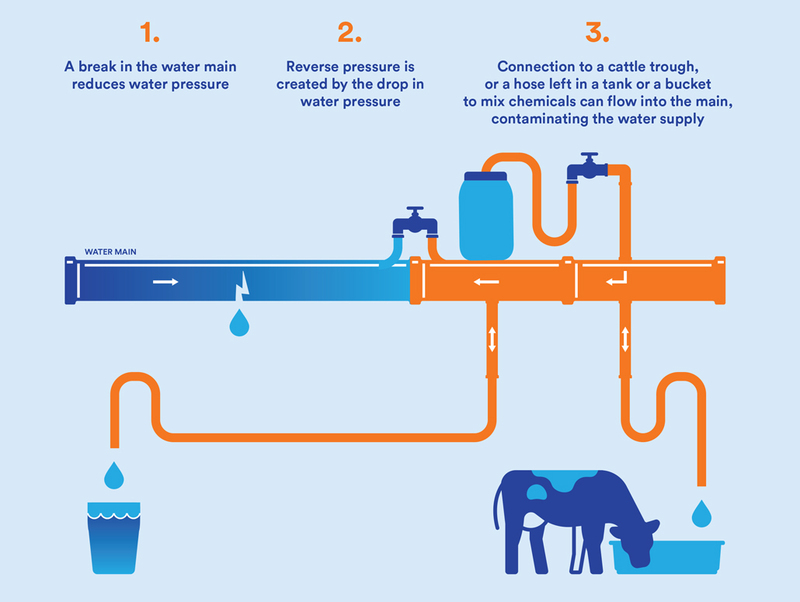 Based on property inspections of its high risk customers, Westernport Water will first work with its farming and agricultural customers to ensure testable backflow prevention devices are installed to safeguard the drinking water supply and the community. The next step will be to work collaboratively with our commercial customers to ensure they meet all the standards of compliance. Further details and helpful information is available in the Backflow Prevention – Information Sheet. Lost your backflow installation reply notice? Download one here.